Late last year I started a wonderful journey with a group of people in a new business. I moved from a situation where I pretty much had an independent role and could conduct most of my day according to my own preference. As I made the moved I was not fully aware that my new role would require me to be so interdependent. I was in fact a little shell-shocked when I had to go from a place of independence and considerable competence to interdependence and incompetence. I have in fact been stretched and tested on some of my weaknesses that I didn’t expect. The lone ranger in me just wanted to fight it with all the energy I had. Fortunately I was aware of my personality and how I was reacting. I could pause and decide to respond in an appropriate manner. My original reaction was to get on my horse, six-gun at my side, and ride of into the sunset on my own – Lone Ranger style. The circumstances I found myself in, however, challenged me on my Lone Ranger attitude and I had to make a choice. I realised that I had to dig in and become part of the A-Team. I could see how the challenge would reveal a part of me that would create a synergy within myself and the team. 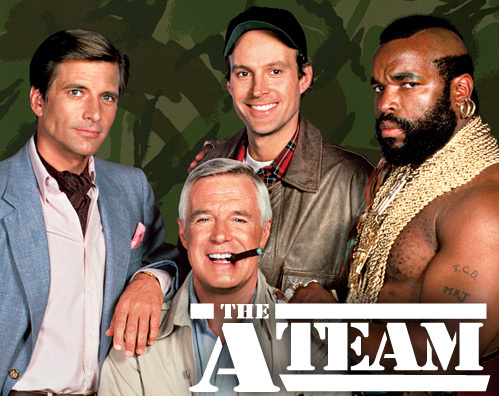 The beauty of it was that within the A-Team I would still be able to have my own unique role; I would still be able to maintain the heart of a Lone Ranger as well as fit in with the team. Not either/or but both! In order to go from survive to alive I had to overcome the fear of losing myself within a bigger whole. I had to confront the fear that my uniqueness would be lost and I would have to go through long days merely getting by on some of my lesser skills. In reality I now see that through sacrifice a better road is being built where excellence is being revealed. I am being sharpened every day. I am naturally a bit of a recluse and love my own company. I have perhaps been doing it a bit too much. Things happen for a reason and I can see that this phase is working on my hermit mentality. I believe that some of my best work still happens on my own but it is empty and meaningless if I can’t build and share it with others – balance and synergy. In the end I will always connect and collaborate with others and it is good to see how it is happening in this phase of my life. I wanted the exposure and growth but wasn’t aware that it was going to be so tough. It is however a plan coming together and I love it when a plan comes together!